Why do we say it’s perfect for couples? Well because you get 2 brushes for the price of 1! but before we get into the review, let’s talk about electric toothbrushes in general. There have been countless studies carried out by companies and independent institutions which show electric toothbrushes are capable of removing up to 100% more plaque than manual toothbrushes. We think it’s a matter of time before regular toothbrushes are taken off the shelves of supermarkets and made obsolete. There might be a few exceptions like Bass toothbrushes but everything else will be gone. And why wouldn’t they, I mean electric toothbrushes have pressure sensors and automatic timers to make our lives easier. Some higher end models even show you how to improve your brushing overtime via Bluetooth technology. 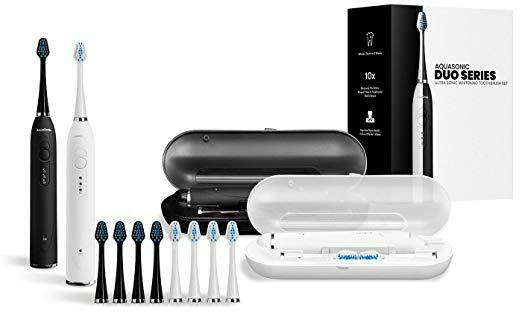 What Is Aquasonic Duo Electric Toothbrush? This toothbrush is made using sonic technology which means it gives out powerful vibrations that help clean the teeth. The Duo means that you get two brushes. One for you and one for your partner. They come in two colours: white and black. This is amazing considering the price you pay and the amount of brush heads they come with. They also come with separate travel cases if your going on holiday or a business trip. This keeps the brush and charger safe. Like other leading brands, the aquasonic comes with multiple cleaning modes so if you have a certain issue with your teeth, you will more than likely be covered. It’s not the most popular brush mainly because it isn’t well-known but there are a couple of hundred reviews on Amazon which show promising signs. If you want you can take a look at what customers are saying about the Aquasonic Duo Electric Toothbrush. This is great if you are sharing a house with a partner. One for you and one for them or if you have kids, you can gift it to them. but we do wonder why so many? It could be that the brush heads are really low quality and to compensate they are throwing so many in, but we will give them the benefit of the doubt and say they are trying to give us customers more value. Apparently the battery life on these toothbrushes last an industry leading 4 weeks on a single charge if your brushing twice per day for 2 minutes each time. That is something to behold because not even the big brands like Oral B and Sonicare come close. 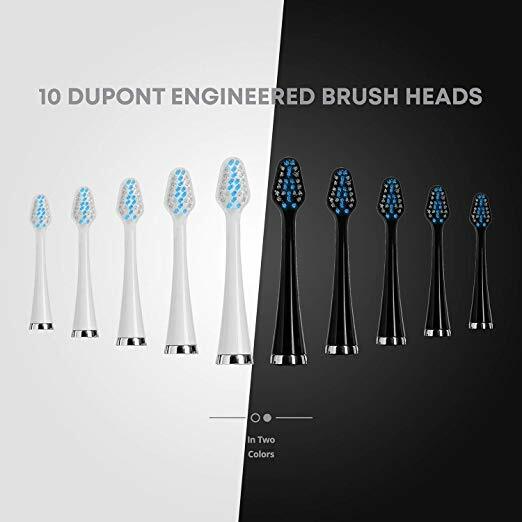 These toothbrushes have been developed using the most up to date technology with each handle housing a powerful motor which rotates extremely fast. This means it can give you a deep thorough clean whilst still being gentle because of the soft bristles. This is an essential component when it comes to electric toothbrushes. If it doesn’t have this then don’t buy it. Most of us do not brush for the right amount of time which leaves some areas in the mouth uncleaned. A timer takes care of this problem because it will beep when the 2 minutes are up. Battery Life – Arguably the best battery of any toothbrush on the market. It lasts up to 4 weeks which is unheard-of in this market, the most we have heard a toothbrush lasting was 3 weeks and that was one of the Sonicare brushes. You Get 2 Electric Toothbrushes – This is probably one of the biggest reasons we like this toothbrush. You get a duo that can be used by different people in the family. 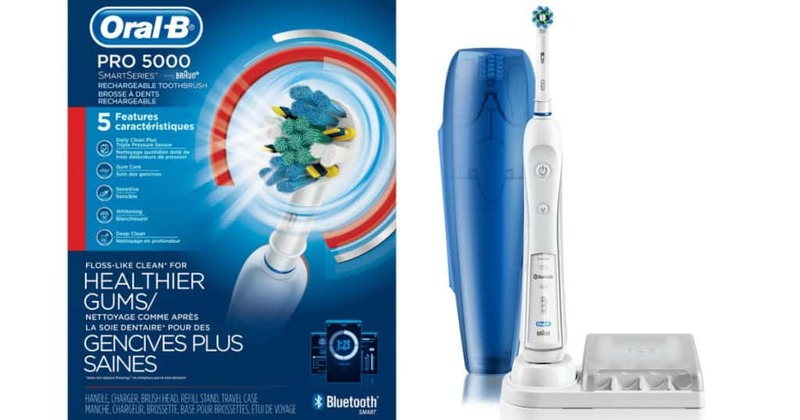 Price – The toothbrush costs $48.95 which is impressive because of everything you get. The 2 brush handles and the 10 brush heads means you will not need to buy any additional brushes for the next 2 years or so because the brush heads last 4 months before you need to replace them. Mode Of Action Not For Everyone – The bristles only vibrate like the ones you see on the Sonicare brushes which is good for some people but reading the reviews we get a sense that this brush does not have the same capability of the Sonicare range and thus the lower quality cleaning action. Clean Mode Loud And Shaky – These toothbrushes are quite loud when using the clean mode which could get annoying after a while. The other thing is the toothbrush tends to shake a lot on this mode, so make sure you hold it tightly otherwise it might wiggle it’s way out. No Additional Brush Head buying option – Aquasonic only ship through amazon for the time being and they don’t seem to have any brush head replacements on there. Yes we know you get 10 brush heads but having the option to buy extra should be there. On Amazon it has nearly 300 reviews with an average rating of 4.7 out off 5 making it one of the highest rated products we have reviewed on this site. This tells us that the majority of people loved this toothbrush with one of the key features being that you get a combo set. Quite a lot of people brought it for this very reason. The different modes was another pulling factor because some people found that the clean mode was too powerful for them, so having extra options was essential. However there were some negative comments left by people, the most common one being that there were no replacement brush heads. While not a massive issue it does make sense that the company incorporate this into their range. One customer noticed his battery died after only a couple of months which is quite bad but this seems like a one off manufacturing error rather than a recurring problem. 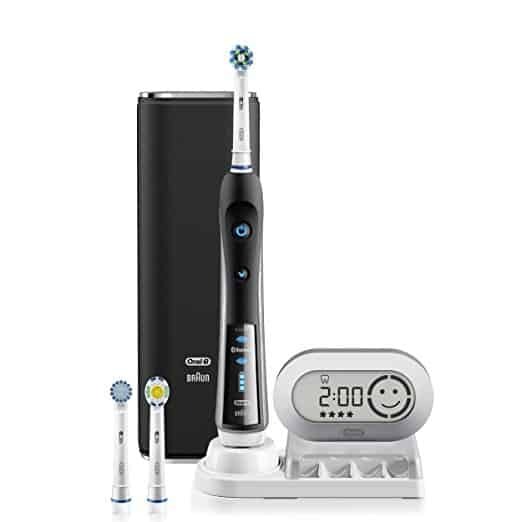 Where To Buy Aquasonic Electric Toothbrush? The Aquasonic can only be brought from Amazon because the company does not have their own website. This isn’t a bad thing because buying from amazon gives you added buyer protection I.e 30 day money back guarantee. It’s currently on offer for $48.95 which is very reasonable considering you get 2 toothbrushes and a bunch of extra brush heads! If your interested then please head on over to Amazon and get your pack before stock runs out. 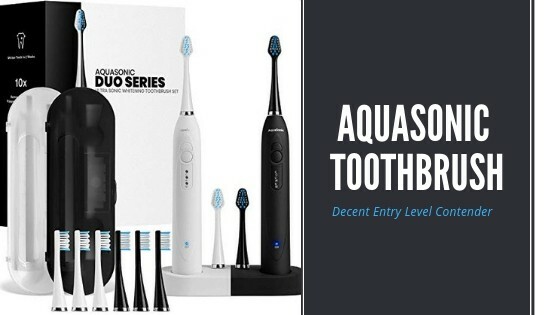 In this Aquasonic Electric Toothbrush review we have given you all the information you need on whether to buy it or not. We would say it’s an entry level brush which has the basic features that will help you get a good clean. It’s based on ultrasonic technology which gives you 40,000 vibrations per minute. The best features about it are that you get two brush handles for the price of one and 10 extra brush heads which means you are getting good value for your money. 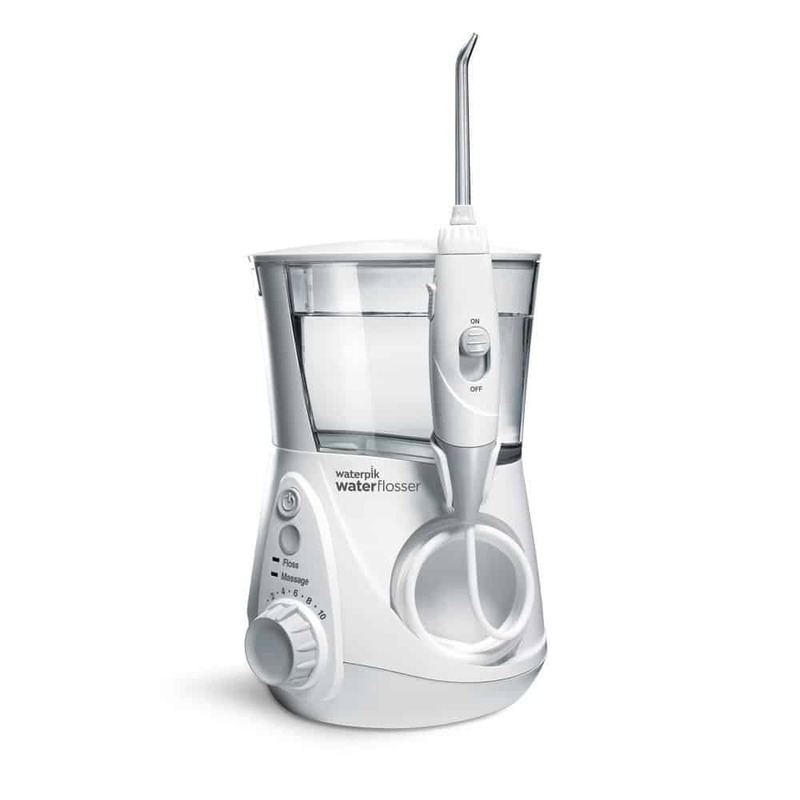 It also comes with 4 cleaning modes to cater for different oral health conditions. It’s not the most powerful and sure you will get a more thorough clean with the big name brands such as Oral B and Sonicare but they are expensive whilst this is cheap. It’s especially good if you have never tried out an electric toothbrush. If you want to see what all the fuss is about then the Aquasonic is a good place to start. Q. Do both the Toothbrushes charge at the same time? A. Yes. All AquaSonic products are backed by a complimentary 1-year warranty included with your purchase. Q. How many day’s can you use it without charging it? A. Each of the AquasSonic Duo’s can be used for up to 1 month when used for 2 minutes twice a day. It is perfectly suited for short or long vacations on a single charge and with the included travel cases. 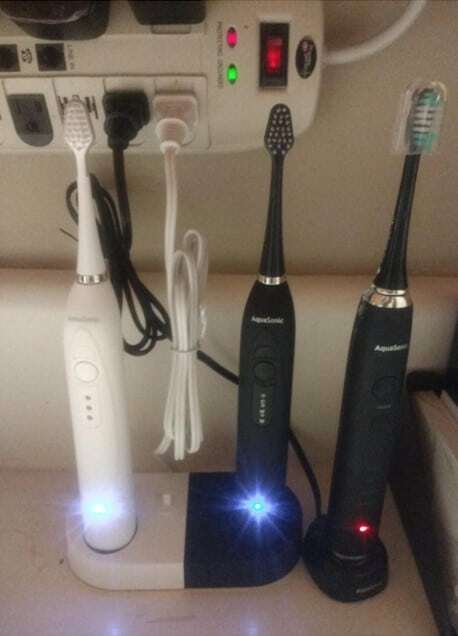 Reading a valuable review, I was happy to know a lot about Aquasonic Electric Toothbrush. Of course, we should take care of our teeth, as long as it is there. And for this, we have to take the help of technology indeed. The price of Aquasonic Electric Toothbrush seems very logical to me. And it’s undoubtedly a suitable brush for cleaning teeth. Would you mind if, what the doctors advised about it? Thanks to the author for the excellent and valuable reviews.